Everyone loves to laugh and with so many awesome comedy venues in Maryland, you can easily catch a national act on a weekly basis. If open mic nights or local talent is more your thing, there are plenty of clubs to catch those too. Catch a show and get ready to have a good time! One of the best comedy clubs in the country, Magooby’s is a must visit for anyone looking to laugh in B-Town. They have been rated the No. 1 comedy club in Baltimore locally, feature national acts on a weekly basis, and have the perfect atmosphere to bring a date or friends. With pub food and drinks, you can easily make a night of it but most of all-you’re guaranteed to laugh. Located at Power Plant LIVE!, the Baltimore Comedy Factory is in the perfect location. You can bar hop, catch a comedy show, and listen to live bands all from the Power Plant. They have more than one show a week and feature both local comedians and national ones. Plus, they host fundraisers so you can raise money and have a laugh at the same time. This is funny, yet affordable, comedy. You can get in for only $15 on Fridays and Saturdays nights. They bring in well-known acts so don’t let the price fool you. If you are a local comedian looking for exposure, you can even enter their comedy tournament. Old school, neighborhood comedy is alive and well at Laugh Riot. Every Saturday night you can venture into this basement comedy club to hear locals looking to get a break and established comedians trying out new material. It’s local, only $10 to get in and you get to hear a lot of DC comics that also perform at much larger venues. It turns out you can catch a comedy show at the beach. You just have to know where to look. Princess Royale has a daily comedy show in the summers (minus Sundays). This means you can spend your days soaking up the sun, catching a wave and walking the boardwalk before cleaning up and laughing to jokes offered up by acclaimed comedians. It’s the perfect way to end the day. A fantastic theater in Western Maryland, you can catch all types of shows here. Comedy shows are featured in their regular lineup but the real reason to go is how beautiful the theater is. This is somewhere you can take a date or you can take the kids who enjoy comedy, without worrying about having to taking them to a bar. This is where Annapolitans go to be entertained. They have live bands and performances nearly every night and are always hopping. 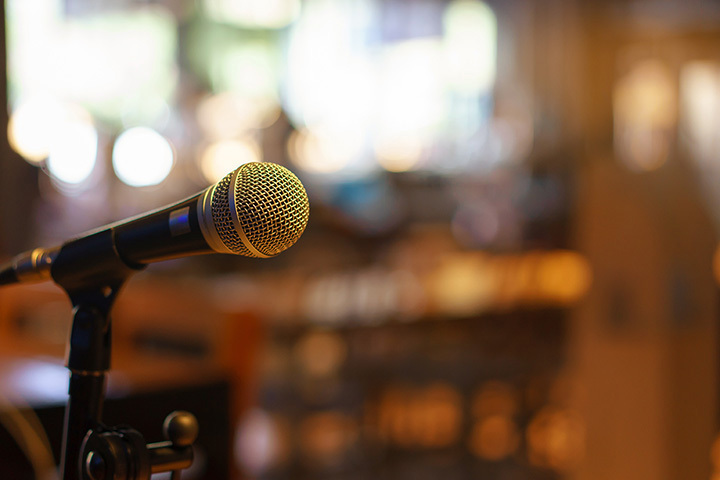 While most of their acts are bands, comedians also frequently come to town, and given the intimate nature of the venue, it’s easy to feel like they are telling jokes just for you. If you love “Saturday Night Live” or “Second City,” you can’t miss the Baltimore Improv Group. This is live comedy where you never know what you will get. The audience is an active participant, directing comedians on stage, which makes for a constantly different but always hilarious show. They also have open mic nights and acts that come in occasionally but the real reason to go is to laugh hysterically at your best friends expense when they get dragged onstage. The Division of Student Affairs is always putting on shows in College Park. This gives students the opportunity to see some amazing shows, become exposed to new artists, and more. Sometimes they even bring in large, nationally known, acts like Trevor Noah. Every Thursday, you can attend Savage Thursdays to hear local up and coming comedians. This is a place perfect for expression so the acts can be hilarious. You may not know it but the best comedians are often in your own backyard. It’s $10 at the door so an easy and affordable way to laugh. View more Maryland Comedy Clubs.